Naked by David Sedaris is yet another hilarious collection of his quirky life view. I'm a definite biased fan of most anything Sedaris writes as I just really connect with his dark and somewhat inappropriate humor. This book is no different. I will say that the title story at the end was interesting, but it wasn't as grabbing for me as the rest of the stories in the book. I love the memories of his childhood, and I particularly relate to his mother's treatment of his ticks. All of his reminiscences are funny but sad, which feels more realistic. I love the way he describes the world, and I was definitely entertained once again with this book. I give this book 4 out of 5 stars. 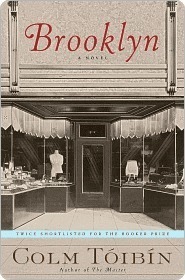 Brooklyn by Colm Toibin follows the story of Eilis Lacey, an Irish girl in who immigrates to Brooklyn, New York in the 1950s. Eilis comes from a poor Irish town where job opportunities are non-existent, so her sister, Rose, arranges with a priest in Brooklyn to find Eilis a job and a place to live. The story shows how she adjusts to being alone in a new country. She meets a boy after a few months and things begin to get better for her, then a tragedy calls her back home and has her questioning if her future lies in the US or Ireland. I enjoyed this story for what it was - a story. I was doing a lot of family history and research at the time I read this, so I call serious foul that anyone in Ireland in the 1940s would name a baby Eilis, particularly when their other kids names are Rose, Jack, Martin, and Patrick. Eilis is a modern, Gaelic style name, not a traditional Catholic name like would've been used back then. There were a few moments in the book that felt unnecessary and were simply added to seem more modern (in my opinion, obviously). Overall the story was good, and it was a nice little escape to a different time and place. I give this book 4 out of 5 stars. 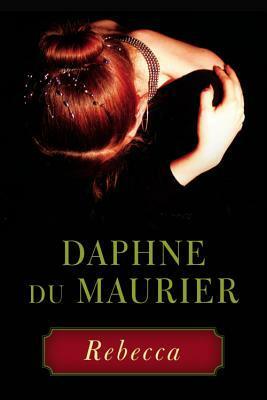 Rebecca by Daphne du Maurier is a classic mystery thriller from the 1930s. A very rich man marries a young nobody after his first wife dies, but the new wife soon learns that things are not all well in her husband's home. Rebecca was his first wife, and while his new wife tries to be sensitive about his loss, it seems she is always doing things wrong that upset him; not to mention the strange behavior of the housekeeper (who adored Rebecca). She begins to feel she is haunted by Rebecca's ghost when she's done nothing but try to avoid it. Eventually the truth of their situation comes to light and they can no longer go on the way they had. I went into this story knowing absolutely nothing about it, which made for an interesting experience. I didn't even know this was a mystery when I began, lol. That said, the book does a very good job of giving an overall creepy feeling. The book is very well written with very poetic imagery throughout. You are easily able to understand the feelings of the protagonist, even if you think she's a spineless ninny sometimes. While I had a hunch about the big secret at the end, it was very well done and I enjoyed reading it through. I give this book 4 out of 5 stars. 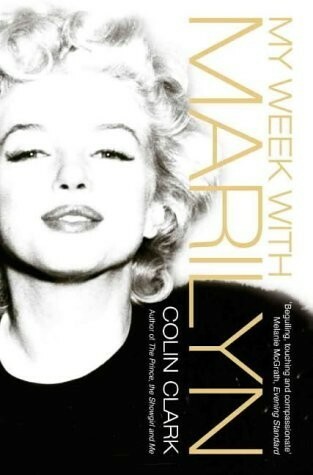 My Week With Marilyn by Colin Clark is a memoir of a young man who spent a week with Marilyn Monroe while she was filming The Prince and the Showgirl. It's a very short story where Marilyn, put off by the British members of the crew and cast of her movie and having issues with her new husband (Arthur Miller), reaches out for attention from this 20-ish year old 3rd assistant to the director. He obviously idolizes her and feels that everyone really is picking on her, so he strokes her ego to help her along. At first no one wants Colin to see Marilyn because they are worried it will negatively effect her, but the two of them run off together and do a little sight seeing in London. Colin's time with Marilyn ends with a sad miscarriage that is shut up so the others don't find out about it. All in all it was an odd glimpse into the life of the biggest star in the world during her time, though I could never really get over how much Colin fawns over her and feels that she is controlled by these other evil people who only want to mooch off her stardom. Maybe it's my own notion that your life is your own and choices you make put you where you are, but I just couldn't enjoy it like I hoped I would. It was fine for a short escape though. I give this book 3 out of 5 stars. 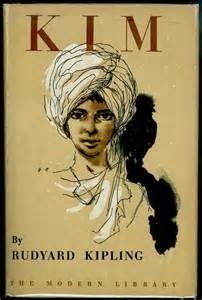 Kim by Rudyard Kipling is the story of an Irish boy growing up as an orphan on the streets of Lahore City India. Kim's mother died in childbirth, and his father (Kimball O'Hara of an Irish regiment) died when he was about 5, leaving only a "talisman" that Kim wears around his neck always, and instructions that Kim's young mind weaves into the vision of a "red bull on a green field" that will change his fate. Kim meets a holy Lama and becomes his chela, helping him on his holy quest to find a river The Buddha washed in. On their quest for the river, Kim sees a flag that has a red bull on a green field, so he goes to investigate and learn his fate. This leads to Kim being forced into school for white men, but he eventually is able to use his abilities on the streets as well as his English schooling in a big way. This was a very interesting book, and it would be great for adolescent boys. The story takes a little work to get used to as there is so much Indian slang, but you quickly get into the swing of things. The story moves along very well, which I feel would keep even kids interested. Learning the mystery of Kim and what he will become turns into your main concern, keeping you wanting to read more. I very much enjoyed this story (and I loved the old school Indian insults Kim spouts to everyone, lol). I give this book 4 out of 5 stars. Thank you for the book reviews. I want to read Rebecca now. I have seen both versions of the movie but never read the book. Ooh, there are two movies? I've only seen the old Laurence Olivier one.